Digital strategist Nic Newman has written a 30-page Google Doc on his predictions for journalism, media and technology this year. The ex-BBC strategist provides a really good summary of key developments in digital journalism in 2012, and makes a few predictions for this year. In addition to predicting the rise of mobile (he uses the buzzword of the week ‘phablet’, which has been used to describe the hybrid, larger phones that are approaching tablet size), he makes another point he makes is one of visual storytelling and the importance of images. 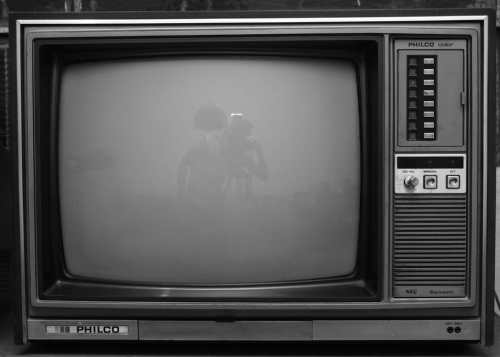 That leads into him noting the rise of TV-style coverage by online news sites, including WSJ Live, the Huffington Post and the New York Times. Following WSJ’s launch of WorldStream, a platform where reporters at the title share mobile phone footage to provide a behind-the-scene glimpse of the newsgathering process, Newman forecasts that in 2013 we’ll see “more experimentation with short-form video”, with this area offering “significant opportunities for newspapers and start-ups to disrupt traditional broadcasters”. 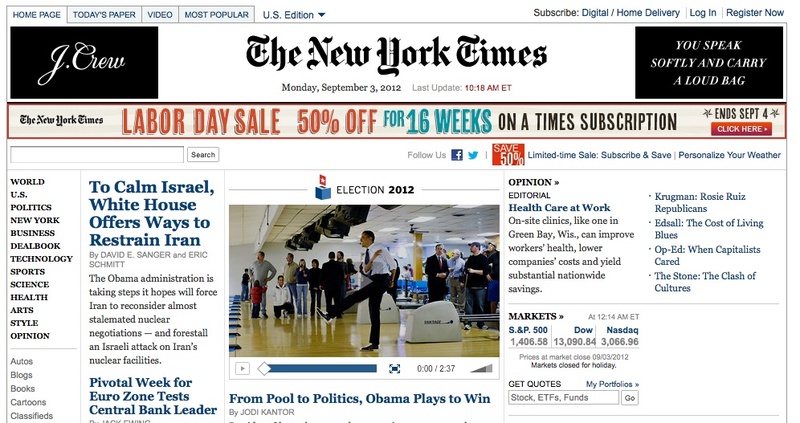 Another trend he notes is one of real-time news and he makes predictions around paywalls. The Washington Post and at least two national UK newspapers will join the metered paywall club in 2013. The full document is at this link. 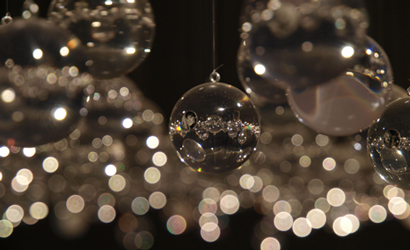 Related: In this article, seven industry experts share their predictions for this year. This entry was posted in Editors' pick, Online Journalism and tagged 2013, nic newman on January 11, 2013 by Sarah Marshall. Copyright: Image by MTA Long Island Rail Road on Flickr. Some rights reserved. Hurricane Sandy presented a challenge to journalists using social media channels: how can you be sure that the content you are seeing is accurate? Storyful, an organisation that specialises in finding verifiable news on social media, hosted a Google+ Hangout yesterday on verification during Hurricane Sandy. The guests were Adam Blenford, the online news editor at BBC News; Liz Heron, social media director at the Wall Street Journal; Aine Kerr, the US politics director at Storyful; Tom Phillips, the international editor at MSN, Craig Silverman, who writes the Regret the Error blog at Poynter; Paul Watson, chief technical officer at Storyful and a group of students from Griffith College Dublin. 1. Users care about the accuracy of the information they receive from news organisations. Liz Heron said every time the Wall Street Journal posts a photo on Facebook – which will have first been verified by the news outlet – users will still question the authenticity of the image, even if taken by a professional photographer. “There’s such high suspicion now among our readers and viewers that I think it’s really important, especially in a situation like covering Sandy, to be really obvious and clear about the fact that this has been verified. There’s huge suspicion out there about this kind of stuff, even for professional photography,” she said. 2. To get people interested in the verification process, it has to be as compelling as the fake content. Craig Silverman mentioned The Atlantic, which embedded a “verdict” on images, and Buzzfeed, which put together a quiz on real and fake images, as examples of organisations that had done something a bit different with their verification processes. “This is content people are really interested in, it’s useful to them but there are also ways to make it fun and interesting. I think that’s actually been very key to helping the real images or at least the verdict on the fake ones spread,” he said. 3. Journalists should be wary of broadcasting debunked fake content because there is a risk users may misinterpret it as genuine. Craig Silverman added: “The risk that is always there, however, [is] that when you actually put that tweet out there, even if you’re noting it as false, there are people who are still going to read it and who then may actually retweet it without that context of saying it’s false”. 4. A few fundamental journalistic principles can help ensure you are not fooled by fake content. 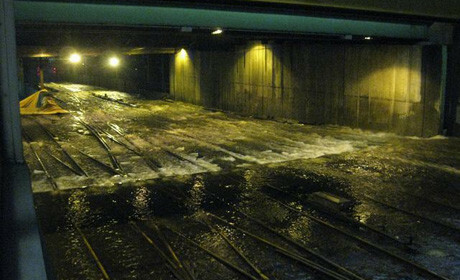 Liz Heron gave the example of using the live video stream of the New York Stock Exchange, which proved that the rumour it was under three feet of water was untrue. She added that often the simplest way to verify something was to contact the original source directly. Adam Blenford also added that “it appears that the closer and more finely-tuned your Twitter lists and your Twitter stream was towards New York on the night of the storm, the less likely you were to get hoaxed”. While on the subject of social media sharing, Twitter stated on Sunday (9 December) that Instagram photos would no longer appear integrated on the platform. 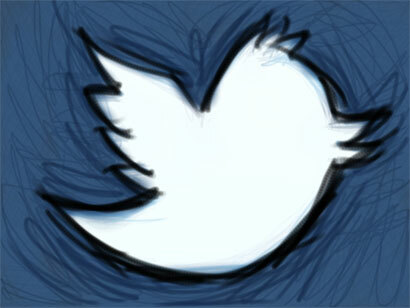 Tweets will instead only link to an Instagram picture. In a statement published by the BBC, Instagram chief executive Kevin Systrom said it was felt that “the best experience is for us to link back to where the content lives”. Markham Nolan, managing editor at Storyful, told Journalism.co.uk this was an “inconvenience” for journalists specialising in verification. “It was very easy to click in and out, have a quick glance and do the initial check,” he said. But he added that he did not think it would “slow down the deeper verification”. “It just means you have to click out of your Twitter stream every time you want to see an Instagram picture to see if it’s useful or see if it’s something worth verifying,” he added. This entry was posted in Online Journalism, Social media and blogging and tagged Hurricane Sandy, images, social media, verification on December 11, 2012 by Rob Grant. The Economist divides its digital products into those that involve two reading behaviours: “lean-back 2.0”, which is the print-like digital experience of tablets, and “lean-forward 2.0”, a website experience. At today’s PPA Digital Publishing Conference, Neelay Patel, vice president, commercial strategy, The Economist, said the title therefore offers three product types: lean-back in print, lean-forward on the web, and lean-back in digital. And the new platforms are expanding the reach of the 160-year-old title, Patel explained. Our potential audience is now much broader with digital. “Lean-back 2.0” is an “immersive, reflexive, browsable, ritualistic, finishable” experience, Patel explained. 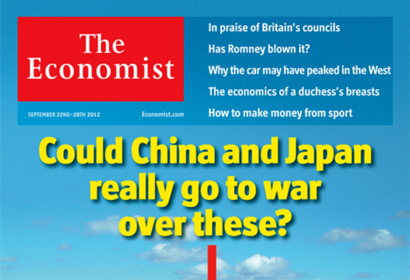 The Economist has taken this research and used the information when thinking about its “lean-back 2.0” strategy. “Lean-forward 2.0” is about the web experience. The online readership is very social, with articles spread via social media. In response to a question from a conference delegate, Patel said that social is one factor that helps The Economist address a potential hurdle – that those unfamiliar with the content think it is all about economics. The discoverability of the content on the web (or lean-forward 2.0) and the social elements helps market the content. By coming across articles online “you then find out that it’s about far more than economics”, Patel explained. So The Economist aims to introduce its content to audiences that “do not know our brand” and has to get the marketing message across to jump the hurdle of the name ‘The Economist’, Patel said. One of its challenges is to get that and other marketing messages in the “tiny little squares” offered by banners, buttons and icons of digital, Patel added. We’ve been very successful in print – and now we are successful in digital. But we must continually challenge ourselves. This entry was posted in Events, Mobile, Online Journalism and tagged #ppadigital, the Economist on September 26, 2012 by Sarah Marshall. Michael Bruntonspall on Flickr. Some rights reserved. Guardian News and Media today announced the promotion of Tanya Cordrey, current director of digital development, to the role of chief digital officer with immediate effect. Tanya joined GNM in 2008 initially building the digital portfolio of environment products and most recently overseeing the product development team. In her new role Tanya will continue to have product oversight as well as supporting the strategic development of the organisation. She joined GNM from the start-up company Zopa.com and was previously on the UK executive team at eBay for five years. Her new role encompasses her position as director of digital development, but she will now report to chief executive of Guardian Media Group Andrew Miller. In the release Miller said Cordrey – along with David Pemsel, who was today named as chief commercial officer – “worked tirelessly and with great creativity to make our digital-first strategy a reality, attract unprecedented numbers of global readers and create new revenue streams”. These changes are part of our strategy to bring both GNM and GMG closer together as we build a stronger, more digitally-focused organisation. This entry was posted in Newspapers, Online Journalism and tagged digital first, guardian, Tanya Cordrey on September 19, 2012 by Rachel Bartlett. Bonnier Business Media designer Jacek Utko has previously spoken about the need for news outlets to break the template format online, in the way they can with their print products. Speaking at the World Editors Forum in Kiev today, Utko helpfully highlighted the ways in which news outlets can show that creativity in the presentation of their newspaper print products. And the place to look for inspiration is in magazines. Put simply, he said, “I don’t look for inspiration in newspapers anymore”. The key lessons for newsrooms to take from magazine content presentation include finding a balance between long and short pieces, producing simple visuals and offering bite-sized chunks of information, the latter being a news presentation format which also “increases understanding”. Magazines also demonstrate how to “tell stories almost without words”, he said, and “surprise the readers” with different news design on the front page. This then looks “totally different in the kiosk on the shelf than the other newspapers”, he said. And this design approach need not only be for news outlets with sizeable resources. It is “very cheap” to do, he said, and takes just a few hours a day, and means print products can get a step ahead of digital in terms of design. 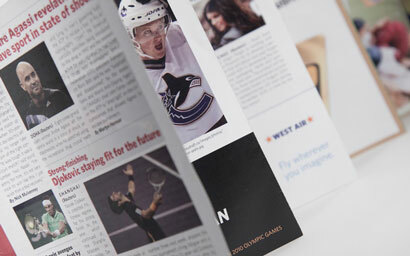 Art direction and news presentation is so weak on the web, it’s our strength, it’s our competitive advantage for print. This entry was posted in Events, Multimedia, Newspapers, Online Journalism and tagged #wef12, Bonnier Business Media, Design, Jacek Utko, Newspapers on September 4, 2012 by Rachel Bartlett. Earlier this year Australian publisher Fairfax Media announced what it described as ‘landmark’ events, including the introduction of a digital-first editorial strategy in Sydney, Melbourne and Canberra, as well as a paywall in front of its Metro Media digital content. The strategy followed a 12-month review, which concluded a need for “decisive action to restructure our business model to better reflect audience and advertising trends”. This included cost cutting measures such as the loss of 1,900 members of staff in a bid to make savings each year of $235 million AUD, within the next three years, according to a report by one of Fairfax Media’s metropolitan titles the Sydney Morning Herald. No one should be in any doubt that we are operating in very challenging times. Readers’ behaviours have changed and will not change back. As a result, we are taking decisive actions to fundamentally change the way we do business. The changes announced today have been selected after considering the merits of a full range of structural alternatives, including a demerger. The package of strategic initiatives is bold, and several are difficult, particularly as they will impact on some of our people. However, we believe that they are in the best interests of Fairfax, our shareholders, and ultimately the majority of our people. They are necessary to ensure Fairfax retains its position as a leading independent media company and a key voice in our markets. It is now a couple of months since the announcement was made and on Monday (3 September) Hywood spoke at the World Editors Forum in Kiev in detail about the restructure, and where it is hoped it will take the company in the next few years. Hywood said the company was facing the same external pressures and declines as other media business and decided to respond by building a “platform or technological-agnostic” model. And the company is “within reach of a very different profitable model for journalism focused primarily on digital distribution”, he said. During his presentation to the conference he also called on other news outlets to “make the calls, and make the calls now”, in order to develop a “dominant digital news position”. At Fairfax Media such big calls have included a move for two of its metropolitan titles – or mastheads as Hywood refers to them – SMH and The Age, to a compact format next year. The company is also closing down two large printing plants and moving the work to its regional plants. In the newsroom there has also been a “revolution” he said, with the newspaper placed “at the end of the process”. Meanwhile sales teams are focused on offering “one media solution for each advertiser”, rather than going in with individual solutions per platform. And while Fairfax Media is making these significant changes to its business, Hywood thinks other news organisations should also be reassessing their situations. One day… it won’t be profitable to print any more. Then what you do is turn the digital tap on, what drops out is the entire costs of the manufacturing business underneath it. As outlined in the ‘Fairfax of the Future’ strategy earlier this year, the company believes that implementing the changes it is will give it “significant flexibility to adjust the business model to reflect audience and advertising trends” should they change in the future. But “you’ve got to make the big calls now”, he warned. This entry was posted in Business, Newspapers, Online Journalism and tagged #wef12, digital strategy, fairfax media, paid content, paywalls on September 4, 2012 by Rachel Bartlett. 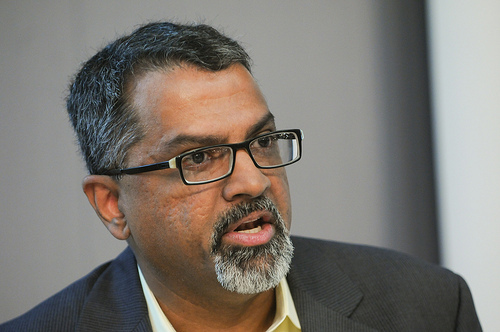 Speaking at the World Editors Forum on Monday (3 September), managing editor for the Wall Street Journal’s digital network Raju Narisetti said he had concerns about many US “copycat” paywalls, and whether they would be able to generate the necessary revenues to succeed financially. Instead, he predicted that “the golden age of digital advertising lies ahead of us” and that by “running towards paywalls” news outlets may be missing the challenges of the future, such as the mobile consumption of news and the need to produce content which can travel with its advertising to platforms outside the news outlet’s own. I caught up with him after the session to speak to him more about his views on digital business strategy, “copycat” paywalls, and why he thinks smaller news brands shouldn’t be “throwing the advertising baby out with the bathwater”. I think most US metro papers are looking at the New York Times and saying let’s follow their model, whether it’s 20 free stories or 30 free stories, it’s a metered wall, and I think the New York Times has seemed to have pulled it off but I think a lot of smaller papers will find that the content they have is not going to be enough for people to want to pay. My worry is that you’re throwing the advertising baby out with the bathwater saying ‘oh advertising rates are falling, it’s a no-win situation’. As you saw, as an entire global industry, we only get 2 per cent of digital advertising, so my concern is why are we not focusing on the advertising end of the business which is … much larger and is growing, rather than focusing on the subscriber end of the business where we’re going to have a much harder time convincing people to pay for content? News outlets should instead be asking “how should I expand the pie?”, he said. Narisetti added that part of the opportunity in the digital advertising business will require news organisations to do more to understand audience interactions with adverts. As an industry we know our readers very well, we know what they do what, what they read, where they come from. Why is it that we haven’t invested enough to know how they interact with advertising and taken advantage of that? He said some news outlets have “abdicated the responsibility of understanding their advertising behaviours and then taking advantage of that”. Instead, “we’re just selling eyeballs as opposed to selling our knowledge of our reader behaviour”. We know so much about what they consume … why don’t we know what advertising works for our readers then? We’ve just ignored that. So why does he think news outlets without that are moving in the paywall direction? Factors include a “me too” mentality, he said, where news outlets see another succeeding and want to try it too, in other cases it may be seen as a “defensive mechanism”, he said, “to say it will stop people migrating from our print to our website”. But this could be missing a bigger issue, he warned. While we’re all on a journey of different speeds on, say, this information highway, there’s probably going to be a big mobile wave coming behind that will put all of us in a relatively level playing field. How do you monetise mobile… how do you create stickiness, is something we should be thinking about now rather than worrying about our website which are increasingly seeing fewer and fewer people come. … I’m not sure we’re going after the right set of problems. The Wall Street Journal “never gave its content away for free”, so it does not face the challenge he has highlighted for others of trying to charge for content that was once free. And of course other paywalls are also seeing success, but his argument is that digital advertising is far from being fully maximised and paywalls should not necessarily be the first answer for everyone. If you have a paywall that’s working, more power to you, but if you’re going to jump in feet first or head first, think a little about what’s going to work rather than just saying the [New York] Times is doing it, let me follow. This entry was posted in Business, Online Journalism and tagged #wef12, Business, digital advertising, paid content, paywalls, Raju Narisetti on September 4, 2012 by Rachel Bartlett. 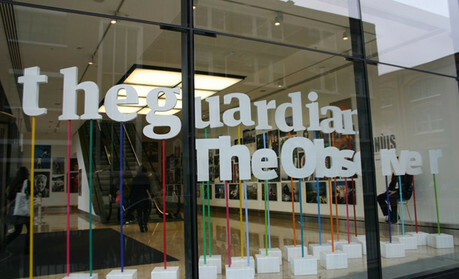 The latest results reported by the New York Times Company showed a total of more than 500,ooo paid digital subscribers. This was an increase on the 454,000 paying subscribers recorded a year after NYT.com launched its online subscriptions model, which refers to subscribers across the New York Times and International Herald Tribune. And this is not including the 700,ooo print subscribers who also gain digital access to the company’s content, according to New York Times Company vice chairman Michael Golden. In fact a report published last month, as covered by AllThingsD, predicted that the New York Times “will have more digital subscribers than print subs within a couple of years”. So when Golden took to the stage at the World Editors Forum today for a session on ‘how some newspaper companies are succeeding’, his presentation was unsurprisingly focused on digital subscriptions. He said the introduction of digital subs at the New York Times has boosted staff morale: it has “changed the way people walk around the building”, he said. Golden said the company spent much time studying this, and what their overall goals were, such as”to develop a significant revenue source because our business model demanded it”. The aim was also to build a “one-to-one digital relationship with consumers and protect digital advertising”. It “cannot be an editorial project alone”, he said. Audiences are indicating every day what they do or do not want to read, and on what platform they like to consume it. He added that the launch itself is “incredibly important” within this: it will either “create momentum or lack momentum” he said. He spoke about the ways publishers can work to continue to increase subscriptions, such as the Times’s ‘Most Engaged User’ initiative which rewarded the most engaged subscribers. Its move from a “gateway” of 20 articles a month to 10 articles a month also helped it see “another boost in subscriptions”, he added. This entry was posted in Business, Newspapers, Online Journalism and tagged #wef12, digital subscriptions, New York Times, paid content, paywall on September 3, 2012 by Rachel Bartlett.